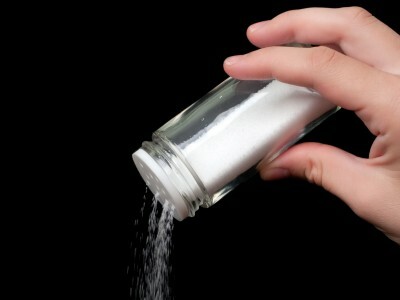 Recent news from the American Heart Association claims that 1 of every 10 Americans dies from eating too much salt. But is it true? Health organizations and groups with political agendas are ignoring a growing body of research finding that less salt does not equal a longer life and in fact can have some dire consequences. The AHA news was based on a Harvard study using computer modeling to also estimate that 2.3 million people worldwide died of too much salt in 2010. The study recommended that dietary sodium be cut to 1,000 milligrams per day – less even than AHA guidelines. But casting doubt on the recommendations to lower sodium in your diet, the respected Cochrane Collaboration in 2011 found that moderate reductions in the amount of salt people eat doesn’t reduce their likelihood of dying or experiencing cardiovascular disease. The Cochrane study, published in the American Journal of Hypertension, acknowledged evidence that reducing dietary salt leads to a small reduction in blood pressure after more than six months. But lead author, Professor Rod Taylor of the Peninsula College of Medicine and Dentistry at the University of Exeter, wanted to see whether reducing salt also reduced a person’s risk of dying or suffering from cardiovascular events. It did not. Taylor’s team reviewed seven studies that together included 6,489 participants. But he says that even larger research trials are necessary before governments start promoting the assumed health benefits of salt reduction. The Salt Institute called on the government to “cease its costly and wasteful efforts to reduce salt consumption until it can conclusively prove a tangible benefit for all consumers.” It also called for large-scale clinical trials to determine the real impact of dietary salt reduction on health outcomes. According to Roman, the only study on heart failure reviewed by Taylor’s team found a significantly increased number of deaths due to a reduced sodium diet. She warns that reducing salt also places consumers at a higher risk of diabetes, cardiovascular disease, loss of cognition and death. Many alternative health practitioners recognize the importance of a good quality unrefined sea salt in your diet to help regulate conditions like adrenal disorders, fatigue, headaches, immune system function and thyroid disorders. Tagged blood pressure, heart disease, salt. Bookmark the permalink.